Beginning October 27, Barnes & Noble College will join the nation’s largest auxiliary services support organization serving higher education at the 2013 National Association of College Auxiliary Services (NACAS) Annual Conference. 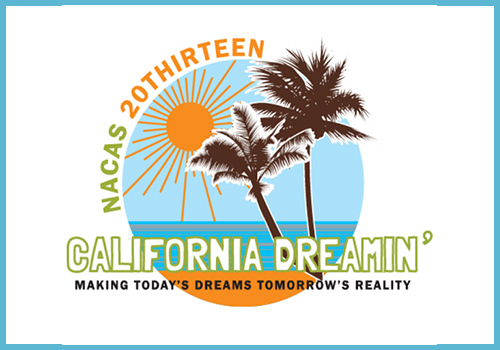 This year’s meeting, Making Today’s Dreams Tomorrow’s Reality, will be held at the Anaheim Convention Center, and will run through October 29. 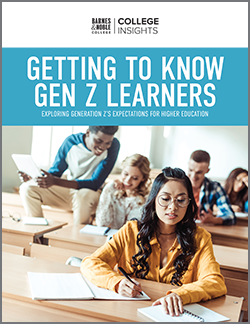 Jade Roth, Vice President of Books & Digital Strategy, will co-present The Future of Digital Textbooks with Pearson’s Jerome Grant, Todd Summer of San Diego State University, indiCo’s Elizabeth Riddle, and Jacky Grant of the Open Doors Group. The representatives will discuss the role of eReaders and other emerging learning platforms in accelerating the future of education and identify new opportunities for auxilliary services to support a digital landscape. Barnes & Noble College Vice President of Marketing & Operations Lisa Malat and Regional Manager Marc Eckhart will guide attendees towards Understanding Millennial Shopping Preferences with campus partner Shane Hinckley of Texas A&M University. The presenters will explore how savvy NextGen shoppers affect campus store purchasing patterns and enliven the marketplace through their insistence on versatility, style and value. Director of Digital Education for Barnes & Noble College Nicole Guerrieri will present with Lynn Clopton, Director of Student Services, Finance and Budget for Sam Houston State University. Guerrieri and Clopton will focus on understanding student and faculty preferences for integrating course materials and Learning Management Systems (LMS). Using the successful partnership between Barnes & Noble College and Sam Houston State as their case study, the presenters will help attendees understand content distribution and changes in consumption, as well as ways to balance the diverse requirements of faculty, students and campus administrators. Conference attendees will also have the opportunity to hear Pam Bonnell, Director of Learning & Development for Barnes & Noble College, and campus partner, Diane Reynolds, Director of Business Services for Virginia Commonwealth University (VCU) discuss the on-campus benefits experienced by VCU as a result of Barnes & Noble College’s recent collaboration with Franklin Covey organizational experts. Their discussion of the campus store’s implementation of new time management and strategic decision making skills will help attendees learn how to invest their time and energy most wisely. Guerrieri and Clopton will team up again on the third and final day of the conference to educate the audience on best practices for Igniting the Faculty Connection on their campuses. 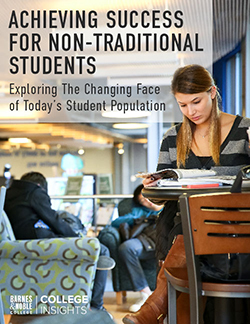 Implemented successfully at Sam Houston State, Barnes & Noble College’s most recent faculty engagement initiative seeks to inform faculty of the many time saving, cost effective solutions provided by the campus store. Guerrieri and Clopton will discuss how the Igniting program helps educators balance their growing responsibilities and options with their desire to provide students with the most affordable, engaging course material options. Attendees are encouraged to stop by Booth #501 to learn more about how Barnes & Noble College is delivering “What’s Next” on over 700 campuses by diversifying course material options to increase savings; building deep connections to students, faculty and alumni; and creating shopping destinations, both online and in-store. In addition to exhibiting, Barnes & Noble College is proud to serve as this year’s Platinum Sponsor of the NACAS Annual Conference to recognize the organization’s hard work and creativity in connecting the industry’s auxiliary service providers with its higher education professionals.